Bow & All Tools International Power Converter - Dino Rentos Studios, INC.
Now you can use all of our tools, including the big 2x4 Compound Bow Cutter anywhere in the world. 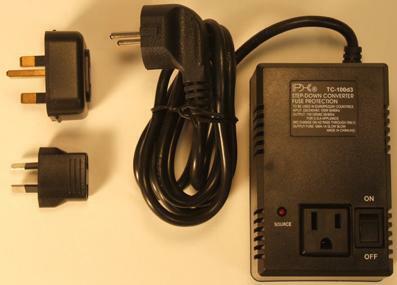 The Bow Cutter comes with a US 110 Volt power supply that will plug into this converter. You can also use this converter with our Crafters power supply and our Pro Power Station to work with all of our hand tools and Scroll and 3D Table.